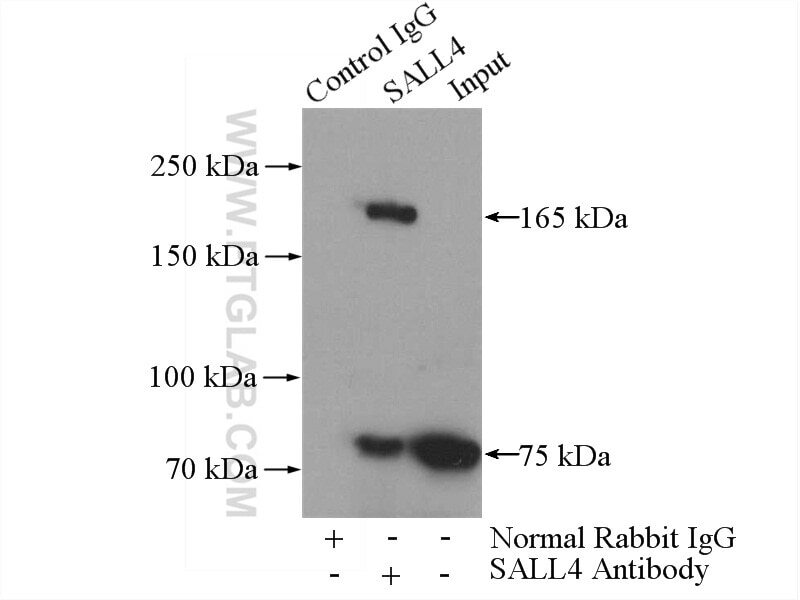 IP Result of anti-SALL4 (IP:24500-1-AP, 4ug; Detection:24500-1-AP 1:600) with HepG2 cells lysate 3600ug. SALL4, also named as Sal-like protein 4 or Zinc finger protein 797, Contains 7 C2H2-type zinc fingers and belongs to the sal C2H2-type zinc-finger protein family. SALL4 is constitutively expressed in acute myeloid leukemia. The constitutive expression of SALL4in mice is sufficient to induce MDS-like symptoms and transformation to AML that is transplantable. SALL4 is able to bind beta-catenin and activate the Wnt/beta catenin signaling pathway. Sequence analysis of the larger cDNA fragment isolated revealed a single, large open-reading frame, designated as SALL4A, that started from a strong consensus initiation sequence and was expected to encode 1053 amino acids. The other splicing variant of SALL4, designated SALL4B, lacked the region corresponding to amino acids 385 to 820 of the full-length SALL4A. The putative protein encoded by SALL4B cDNA was expected to consist of 617 amino acids. 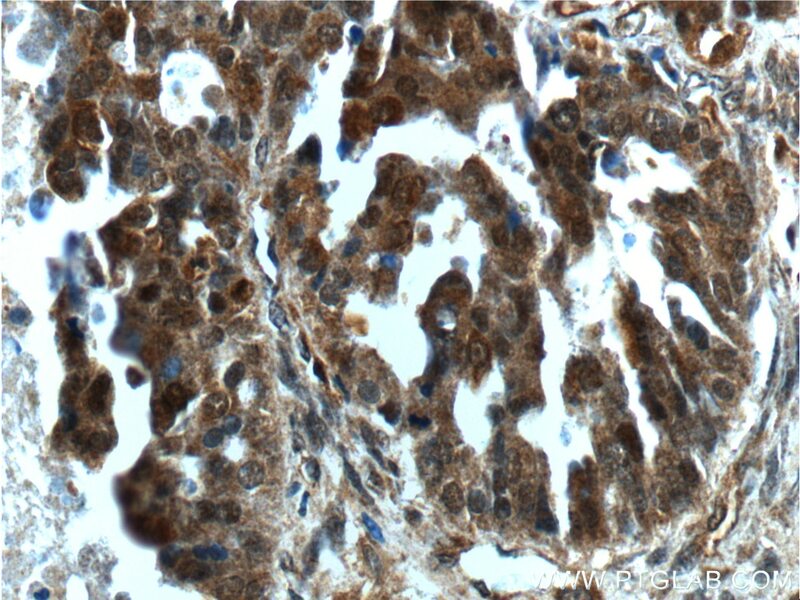 MicroRNA-33b Inhibits Breast Cancer Metastasis by Targeting HMGA2, SALL4 and Twist1. 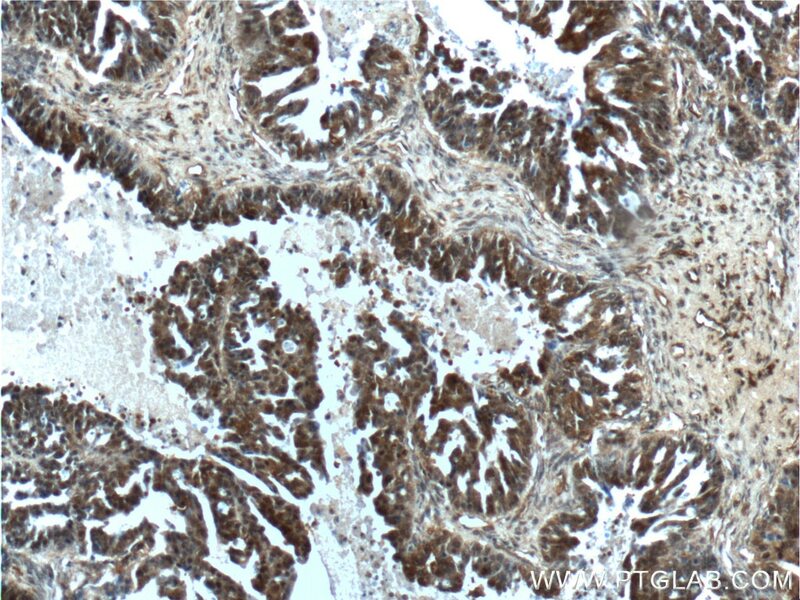 Expression and clinical significance of SALL4 and β-catenin in colorectal cancer. Hepatocellular Carcinoma-propagating Cells are Detectable by Side Population Analysis and Possess an Expression Profile Reflective of a Primitive Origin. 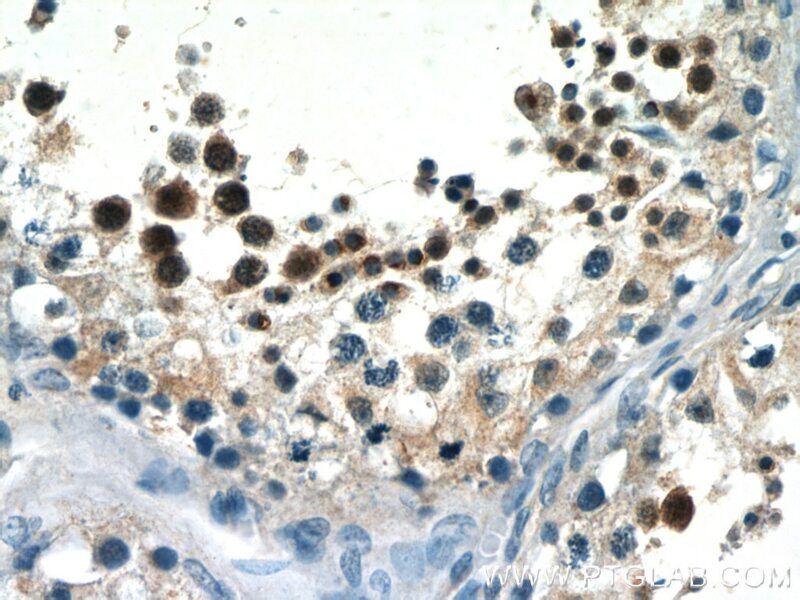 Immunohistochemical analysis of paraffin-embedded human ovary tumor tissue slide using 24500-1-AP( SALL4 Antibody) at dilution of 1:200 (under 10x lens). 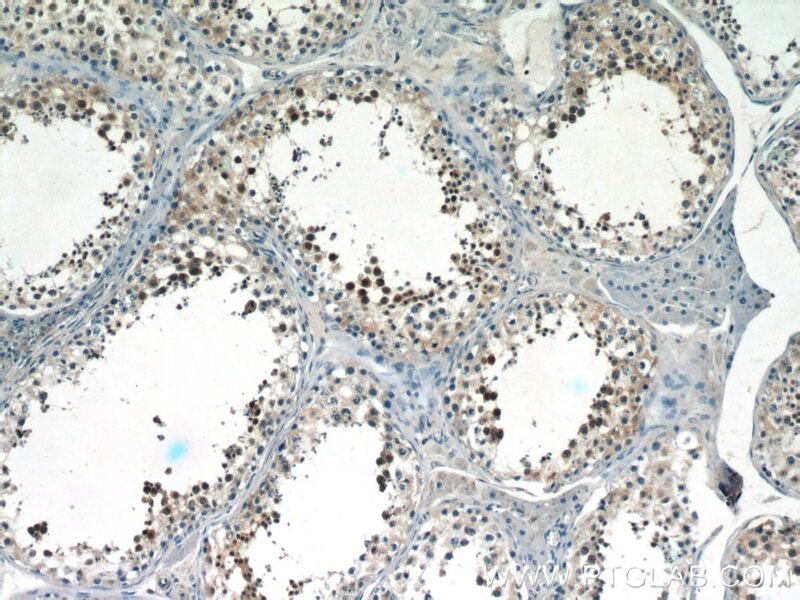 Immunohistochemical analysis of paraffin-embedded human ovary tumor tissue slide using 24500-1-AP( SALL4 Antibody) at dilution of 1:200 (under 40x lens).